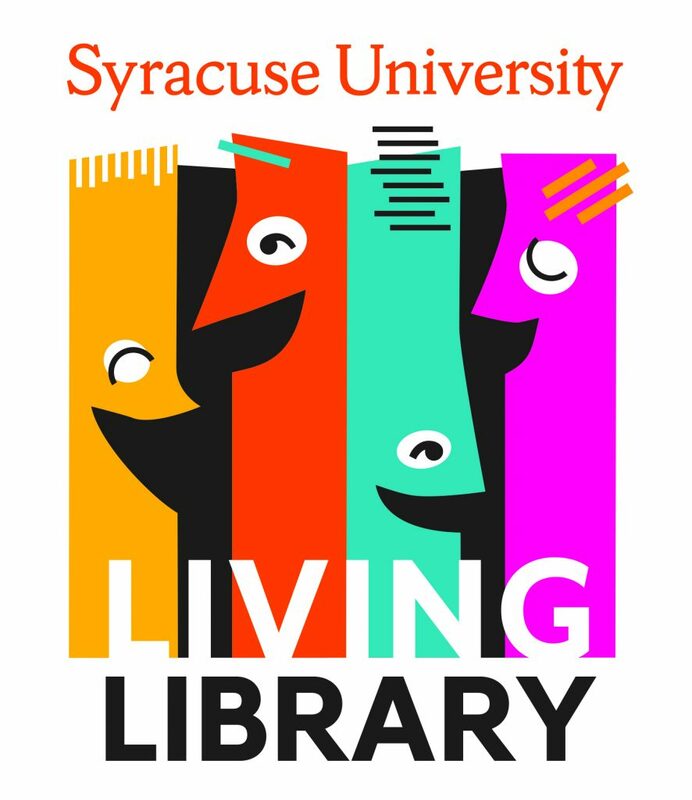 Syracuse University Libraries is hosting a Living Library event on Tuesday, April 2, from noon to 5 p.m. in Bird Library. During this event, “living books” representing a wide range of cultural backgrounds and life experience will share their stories in conversation with individual “readers.” Based on previous popular Human Library events, the Living Library is an event that encourages people from different backgrounds to talk with and learn from each other in a safe and supportive environment. This event is typically held in April, the same month in which National Library Week occurs. Living books—Syracuse University faculty, staff and students from a variety of campus departments and programs as well as others from the local community—will engage in one-on-one conversations for 20 minutes at a time. Living books will share their experience on a variety of topics, including immigration, Zen practice, surviving abuse, cancer and therapy dogs. The event is offered in partnership with the Blackstone LaunchPad at Syracuse University, the Center for Learning and Student Success (CLASS), the Disability Cultural Center, Hendricks Chapel, the LGBT Resource Center, the Library and Information Science Student Association (LISSA) at the School of Information Studies, the Office of Learning Communities, the Office of Multicultural Affairs, the Office of Veteran and Military Affairs and the Slutzker Center for International Services. The Living Library is open to the campus community, and no preregistration is required. However, participants can reserve some of the living books in advance for a specific time, if desired, by completing the form on this page by April 1: www.signupgenius.com/go/9040c4da8ad2eab9-syracuse. Those who may have difficulties using this form or wish to sign up via e-mail may write to askasowi@syr.edu or tanantac@syr.edu. This event is one of several Living Library events being planned throughout the region, with support from the Central NY Library Resources Council (CLRC). For more information, visit researchguides.library.syr.edu/livinglibrary.